In the back we see the Mosque of Zeynep Sultan, erected in 1769 by the Princess Zeynep, daughter of Ahmet III. 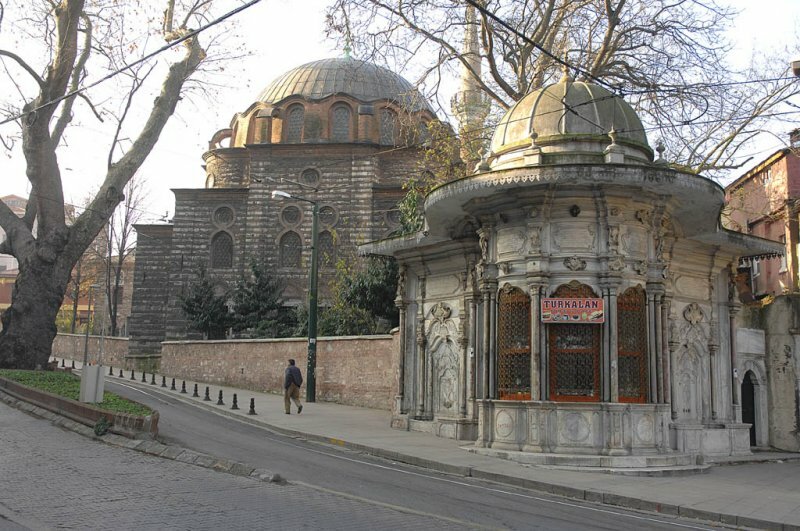 The "sebil" (public fountain) next to its entrance has been moved here, it belonged to the Külliye (ensemble of mosque and other buildings with different functions) of Abdül Hamit I, built in 1778 and moved here when the street was rearranged. This mosque is passed by by the masses going downhill. It is a very pleasant place.